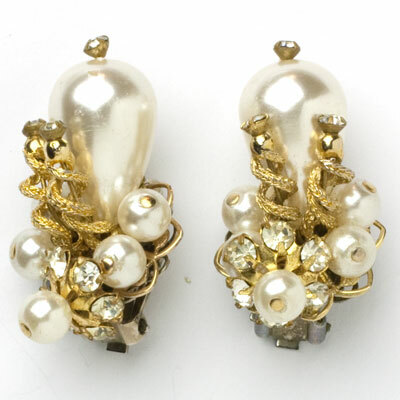 These 1950s pearl, diamanté & gold earrings by Alice Caviness aren’t just any old pair of pearl earrings — they are stunning! They feature a large inverted tear-drop pearl adorned with small pearls and diamanté at the base, finished with two diamanté-topped twisted gold wires. The design and construction are superb. 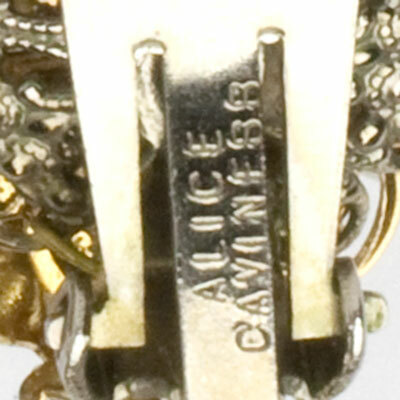 These earrings are clip-backs. 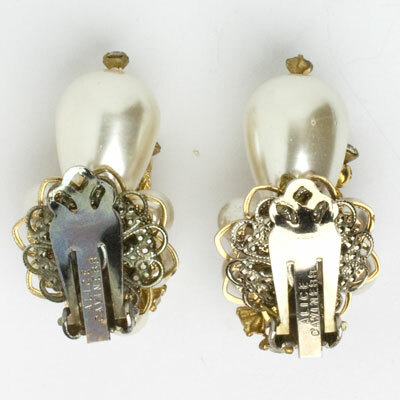 The large pearls have a few minor flaws, but they can be turned to face the back of the earrings. 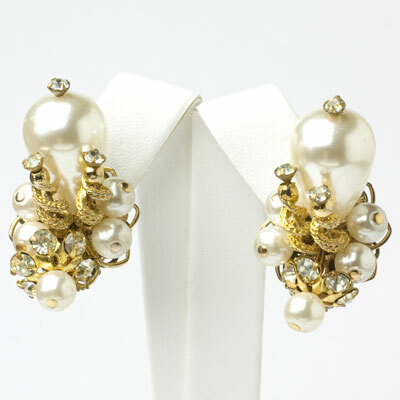 What lovely earrings for a bride, mother of the bride, or any woman who wants to look extraordinary!